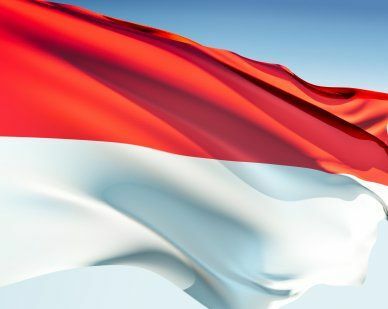 The Indonesian flag was inspired by the 13th century Majapahit imperial flag. It was flown for the first time in Java in 1928. Under Dutch rule the flag was banned. It was flown in 1945 when Indonesia became independent. It has two horizontal stripes; the top is red and the bottom white. The red color symbolizes bravery and the white color represents spiritual strength. Our top-quality Indonesia flags conform to all official specifications. Emblems and designs are executed with the highest possible degree of accuracy in regard to detail, color shades, placement and proportion to flag size.